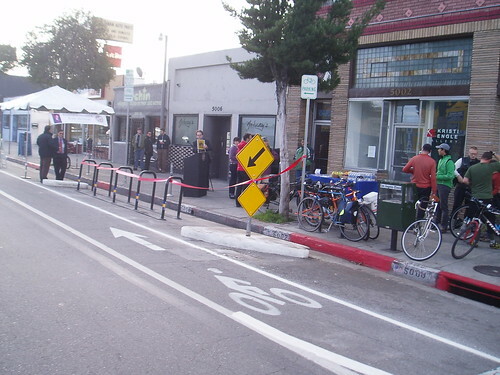 LADOT Bike Blog has spilled quite a bit of digital ink over the last week talking up LA’s first bike corral at Cafe de Leche in Highland Park. 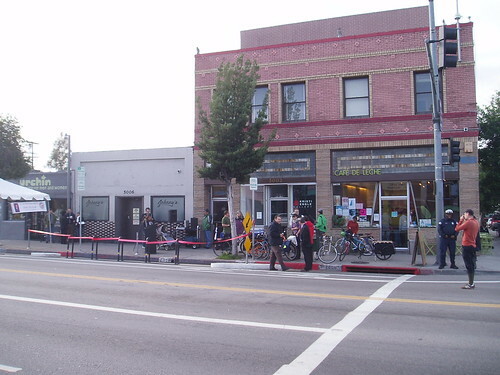 Today saw the grand opening of that bike corral, and LADOT Bike Blog was on hand to witness the joyous occasion. But now that the big moment has come and gone, we find ourselves (almost) speechless. Funny, how that can happen. 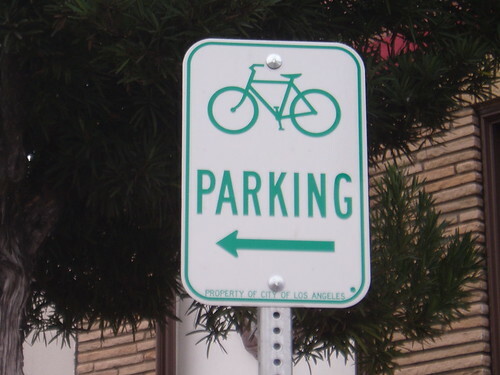 We’ll let you read the accounts of many others who have covered the particulars of this great day for LA’s bicyclists. 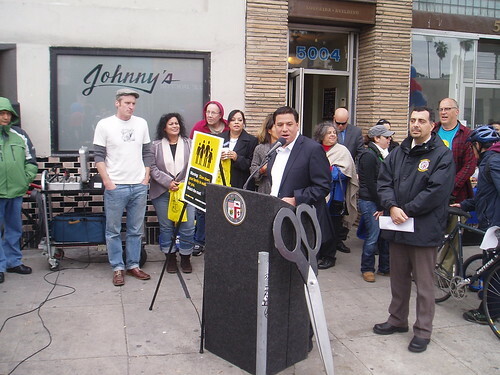 We would be remiss, however, if we didn’t give our deep thanks to CD 14 Council Member Jose Huizar, LADOT General Manager Amir Sedadi, Cafe de Leche owner Matt Schodorf, LACBC, C.I.C.L.E., the Highland Park Neighborhood Council, and everyone else who helped make today possible. Since it’s often said that a picture is worth a thousand words, we’ll leave you with a few photos of today’s festivities. 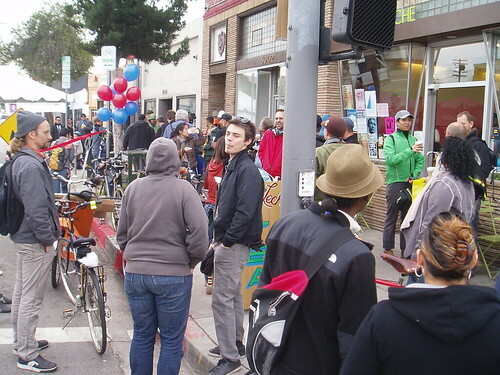 Everywhere we turned we saw beaming faces and happy smiles, and lots of parked bikes. You can see the rest of our photos on our flickr account, our facebook page, and on the twitter feed of BikeBlogChris. 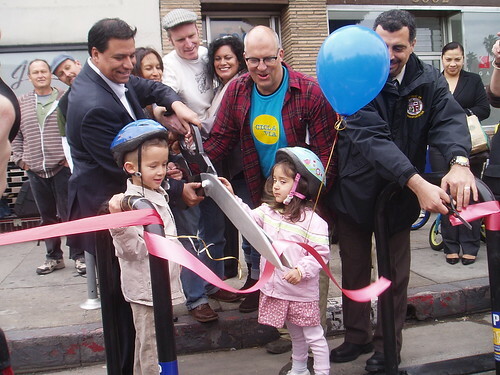 CM Huizar also has a flickr slideshow up.